Despite opening the massive Sands Cotai Central resort in Macau just last year, Las Vegas Sands (LVS) is already looking ahead to their next mega-casino/resort, The Parisian Macau. Scheduled to open in 2015, The Parisian Macau will add over 3,000 hotel rooms and suites to the Cotai Strip and will feature an Eiffel Tower replica and shopping mall in addition to a massive casino floor. Las Vegas Sands has pegged The Parisian’s development costs at $2.7 billion, and it has been reported that they have been seeking a $1.5 billion loan to help fund the project. 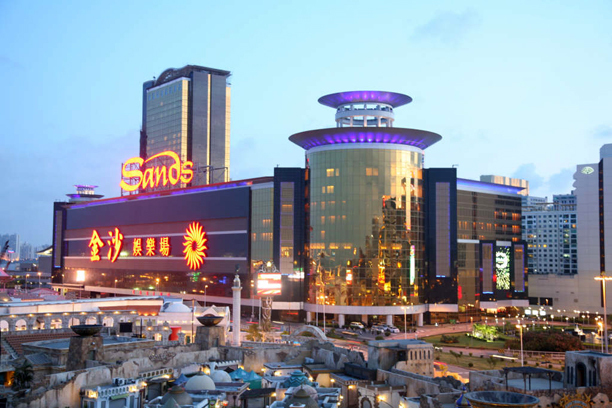 Also requiring capital is the St. Regis phase of the Sands Cotai Central Resort, expected to cost $450 million. Management of LVS has been prudent in managing their balance sheet, returning capital to shareholders while taking advantage of the availability of cheap capital and borrowing when needed to fund growth. The Parisian will add to Las Vegas Sands’ already industry leading presence in Macau, joining The Venetian Macao, Sands Macao, Sands Cotai Central, and The Plaza Macao. In a note to clients Monday, Wells Fargo analyst Cameron McKnight estimated gambling revenue growth in Macau of 19%- 21% this month based on data collected the first week and a half. A strong November would set Las Vegas Sands, Wynn Resorts (WYNN), Melco Crown Entertainment (MPEL), and MGM Resorts (MGM) up for another very good quarter on the heels of an October that generated historic amounts of revenue, up 32% year-over-year. I am very bullish on Macau and expect the amazing growth rates out of the region to continue for the foreseeable future as infrastructure and transportation to Macau improves and the Chinese middle class continues to emerge. I currently view both LVS and MPEL as strong buys and the best positioned of the casino operators in Asia.